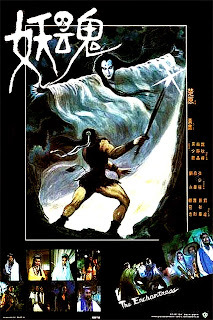 On the latest Wuxia Weekend podcast we talk about Chor Yuen's The Enchantress, a 1983 film that blends wuxia and ghosts to interesting effect. It is about a ghost named Shui Tianjiao, who was killed when her husband joined forces with her enemies in a sect war 18-years ago. Now she uses her daughter (born shortly before her death) to get revenge on the entire martial world. While everyone enjoyed the movie, opinions differed on how good it was. Most of us agreed the strength of the film was its atmosphere and ghostly special effects. The story is good when you understand it, but it could have used more screen time (with perhaps less screen time being dedicated to the near-30 minute final battle). Still it is a very nice mixture of supernatural and martial arts, where it fully commits to both. There are lots of characters, lots of fights, and some very interesting spooky moments. Unfortunately The Enchantress is difficult to obtain these days (I've only ever been able to find it on VCD). So if you want to watch it, you might have to search around for a good deal. 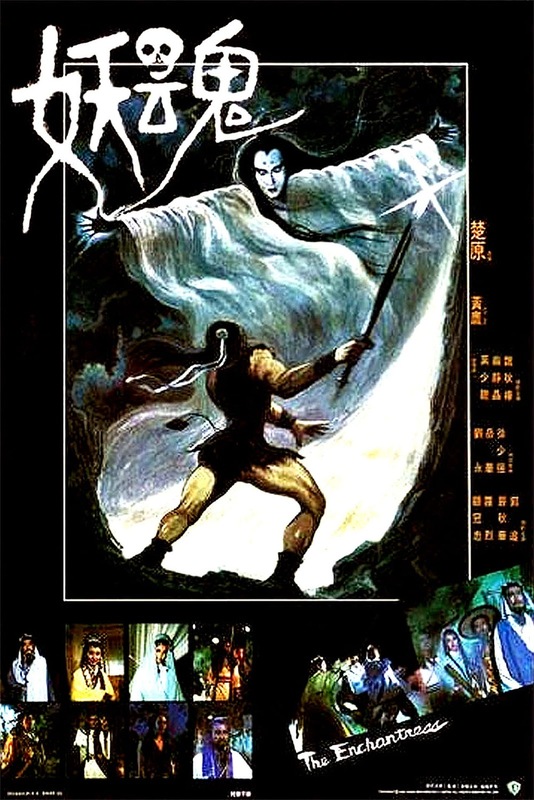 We do recommend it if you like Chor Yuen and want to see his take on Ghosts and Wuxia together. However, if you are not as familiar with Chor Yuen, you might want to start with some of his other films like Death Duel, Web of Death, Magic Blade, Intimate Confessions of a Chinese Courtesan or Duel for Gold.